Photo: Cesar Harada. Creative Commons BY-NC-SA. Four years on, 32 million people in Japan are still affected by the 11 March 2011 nuclear disaster in Fukushima, says a new report. The 2015 Fukushima Report study compiles information on those affected individuals in Japan and elsewhere who were exposed to radiation or other stressors as a result of the disaster and are consequently at potential risk from short-term and long-term consequences of these exposures. Produced by Green Cross — a Geneva-headquartered global independent non-profit and non-governmental environmental organisation founded by founded by former Soviet Union President and Nobel Peace Prize laureate Mikhail Gorbachev in 1993 — the study carefully defines “negatively affected individuals”. Within the umbrella of those negatively affected, it looked at the extent of exposures of different groups — those exposed to higher doses of radiation as well as those with lower exposures, including those living in areas where foodstuff, water and/or vegetation were contaminated. As with the Chernobyl nuclear accident that impacted 10 million people, Japan is expected to see increased cancer risk. But the report also highlights how the stress-related effects of evacuation and subsequent relocation are also serious. Thus the definition of “exposed” extends to those who were affected due to evacuation procedures (leaving their homes and communities, school and patients at hospitals within the evacuation areas), regardless of whether they were able to return home or remain still displaced four years later. The evacuation involved a total of over 400,000 individuals, 160,000 of them from within 20km of Fukushima. The number of deaths from the nuclear disaster attributed to stress, fatigue and the hardship of living as evacuees is estimated to be around 1,700. “Because of experience gained from the Chernobyl disaster, scientists and doctors are better prepared to document and track quality of life measures as well as other information from those affected by this kind tragedy,” the study notes. Both the Chernobyl and the Fukushima Daiichi nuclear power plant disasters were “level 7” events on the International Nuclear and Radiological Event Scale (INES) — ie, the highest level denoting a major release of radioactive material with widespread effects and requiring planned and extended countermeasures. Citing calculations by the Tokyo Electric Power Company (TEPCO), the report says that total atmospheric release of radioactive material from the Fukushima nuclear disaster (iodine-131, cesium-134, cesium-137, and noble gases) was estimated to be less than 15 percent of that emitted by the Chernobyl accident. “However, the number of people affected by radiation in Japan has tripled compared to Chernobyl,” said Nathalie Gysi of Green Cross Switzerland. The radiation released by the Fukushima Daiichi nuclear power plant was largely concentrated in Japan and over the Pacific Ocean. 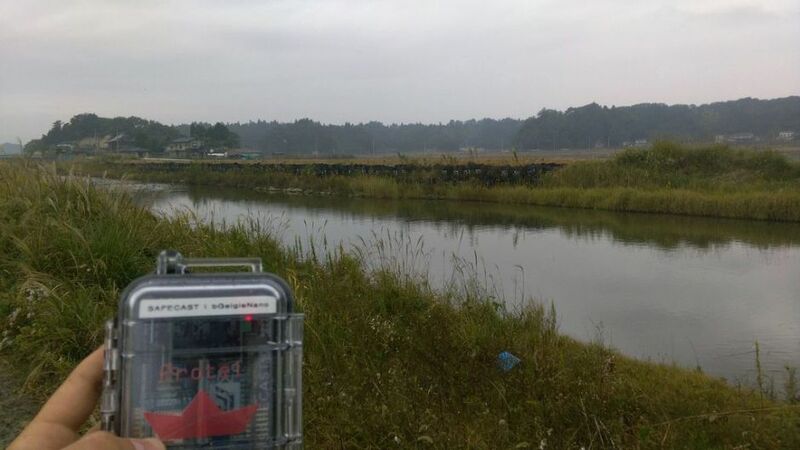 The study cites estimates that 80 percent of the released radiation was deposited in the ocean and the other 20 percent was mostly dispersed within a 50 km radius to the northwest of the power plant in the Fukushima Prefecture. While the expected cancer risk to humans caused by the radiation released over the Pacific Ocean are small, trace amounts of radiation have already reached the North American continent, in particular parts of the North West Coast of the United States. The report’s findings says studies in 23 countries confirmed elevated levels of radionuclides such as 131I, 134Cs, and 137Cs (some detected other radioactive material as well, such as 133Xe and 132Te among others) days and weeks after the Fukushima disaster. Most studies reported that the levels were very low and did not pose a health risk to humans. In addition to the radioactive material initially released into the ocean, water leaks at the Fukushima Daiichi power plant remain a problem four years after the accident. Reports of pipes breaking and water escaping from containment tanks in the months and years since the accident are a source of worry for workers and the public, the Green Cross says. There continue to be concerns about additional psychological stress and rising doubts over the safety of seafood, such as radioactivity levels in tuna and other fish. And according to the report, those fears don’t appear groundless as the threshold for cesium in Japan is 100 Becquerel per kilogram and flounders caught close to the Fukushima Daiichi power plant were found to have cesium levels exceeding the limit. As we’ve reported previously on Our World, mistrust of the government and the information disseminated have contributed to a stressful environment and this really needs to be remedied. The 2015 Fukushima Report — prepared under the direction of Prof. Jonathan M. Samet, Director of the Institute for Global Health at the University of Southern California (USC), as a Green Cross initiative — is available for download in English. Please check out John Perkins. He was an economic hit man and now is Dedicated to transforming the world where all beings can thrive and he has a plan that is easy to do. Pass it on.